We had these for lunch yesterday. Chermoula the north African spice mix is spread lightly over aubergine/eggplant halves which are then baked in a moderately high oven until tender. There are as many chermoulas as there are camels in the desert! This version is from Ottolenghi’s new book Jerusalem. 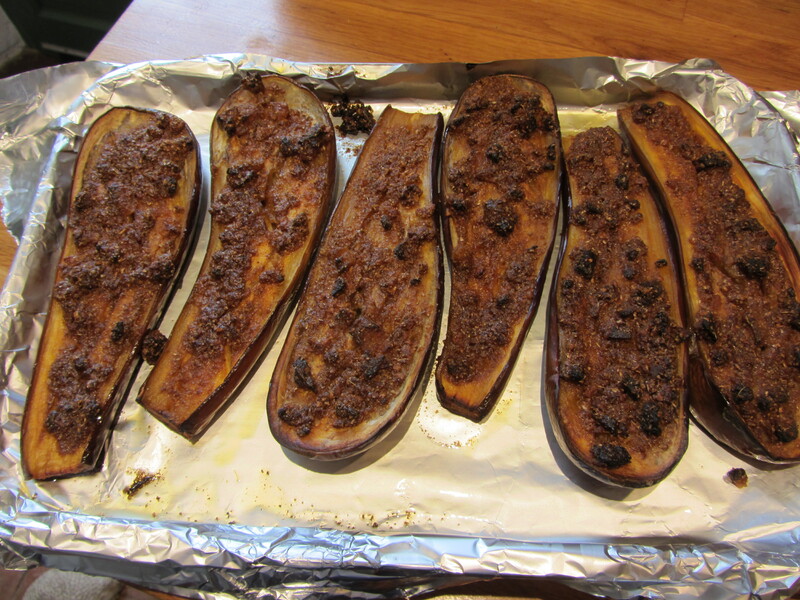 The thinner variety of aubergine/eggplant works well for this–two halves each with salad and a small bowl baba ganoush on the side made a agreeable light lunch. 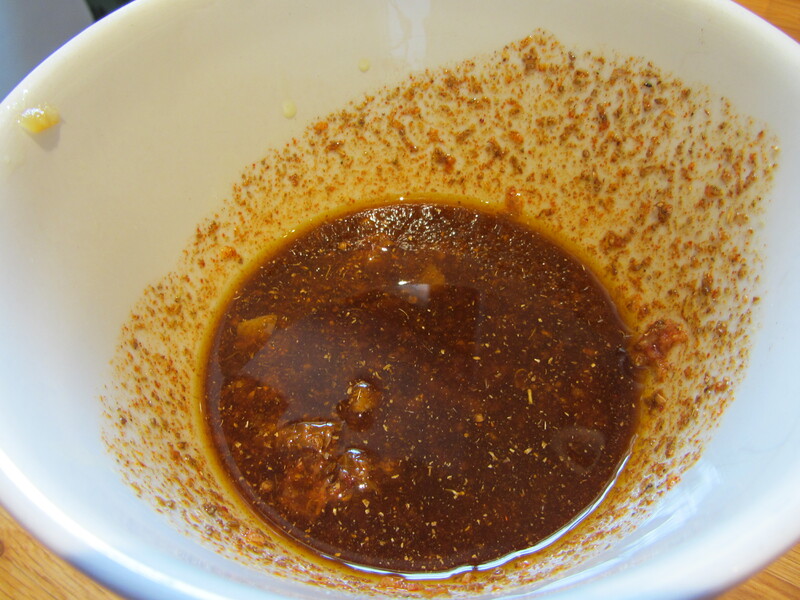 Put all the chermoula ingredients in a bowl and mix thoroughly. 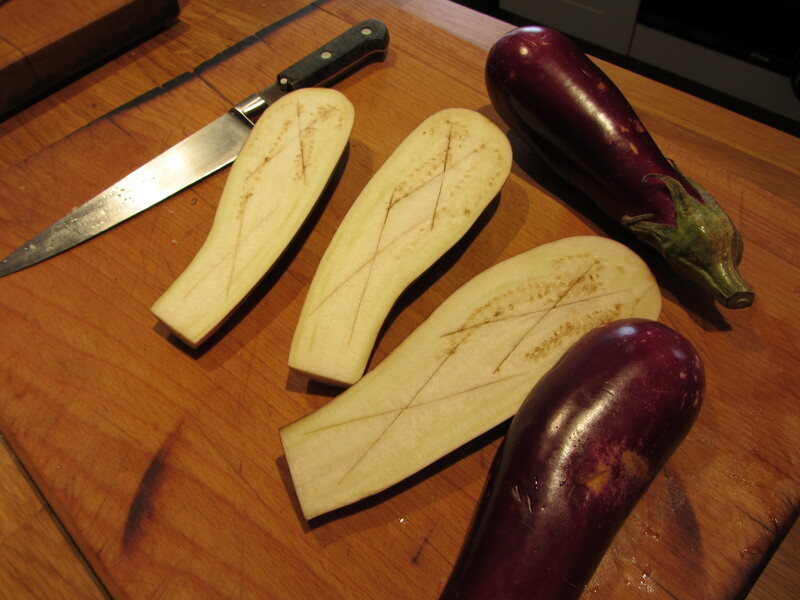 Make a couple of diagonal slits each way in the flesh of the aubergines. Sprinkle with a little salt and leave to drain for an hour or so. 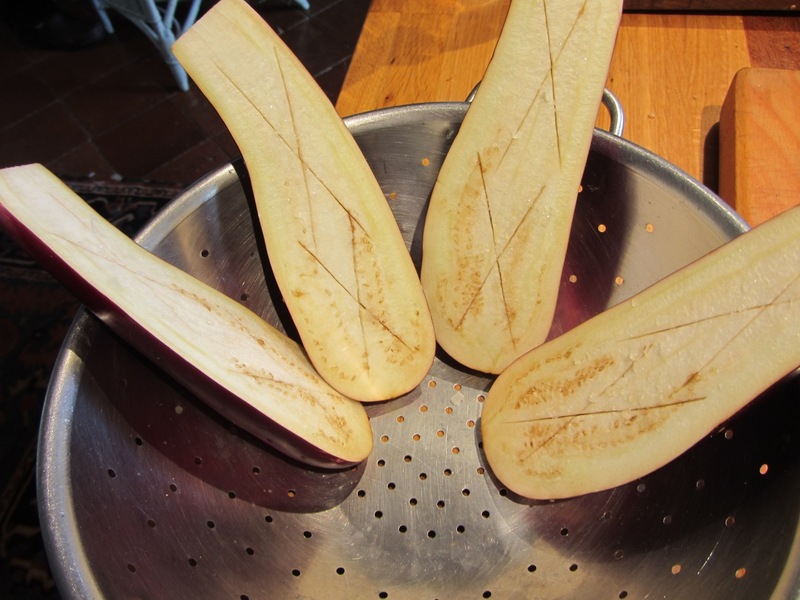 Works better with something under the colander to catch the drips! Spread a thinnish layer of the chermoula mix on each half (yesterday Meredith thought I had laid it on too thick). 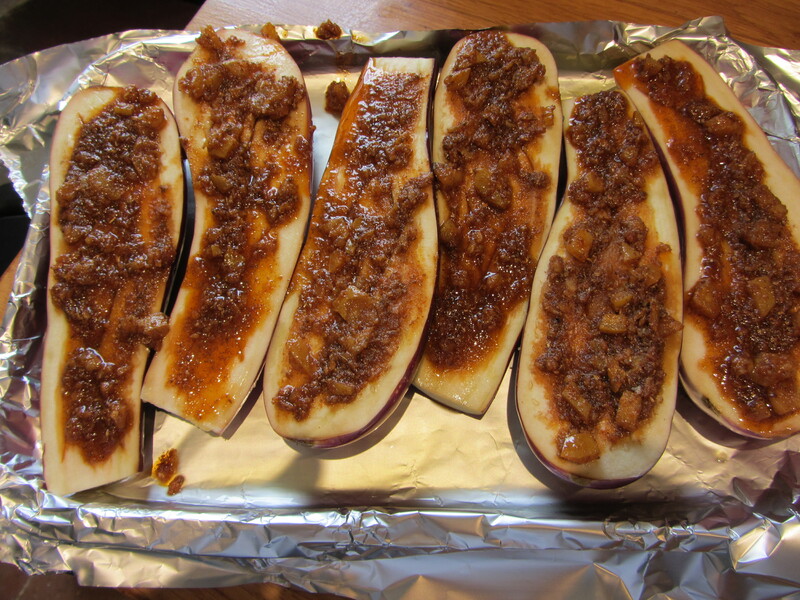 Bake in the oven for about 40 minutes–depending on the thickness of the aubergines. This yogurt sauce would balance the spiciness. Robin, I think it looks wonderful. I like it layed on thick. I will be adding this to our autumn menu. Do you make many quinoa dishes? I would love to see one of your favorites. Thanks for posting such delishious, healty food. The yogurt sauce link seems to be broken. I have re-done it–hope it works for you now..? Keep the vegetarian recipes coming for those of us with meat-free households. FYI after another year of drought driving up feed prices we’ve been hearing a lot of predictions that the cost of meat (at least here in the states) is going to skyrocket. Lentils anyone? Yes – I think you have another book with suitable vegetarian recipes half way there. As a vegetarian since just BP (before Poldark) I have been following your unparalleled ideas and they are excellent. Think there is a gap in the stodge free vegetarian book world. Link’s not working to bab ganoush this morning, Robin. Try this Chris. And me for Thursday!